Family law issues are often overwhelming; in addition to the emotional strain involved in these issues, the complex legal system adds a further layer of confusion and complication. That said, these issues also present an opportunity to move to a place of greater emotional stability and health for you and your loved ones — if they are properly handled. 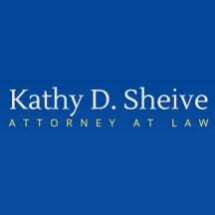 Along with family law issues, our team at the law firm of Kathy D. Sheive Attorney at Law works on estate planning, real estate law and civil litigation issues. We encourage you to get in touch and schedule a discounted $100 initial consultation. To reach out and schedule a consultation with our Florida lawyer, call 407-624-5993.